The TRUTH under FIRE: ARE YOU FEELING BATTLE WEARY? Are you feeling battle weary? I have been. Have you ever experienced times in your life when there seems to be a battle on every side? We sometimes experience great conflict in our lives. Those conflicts can come from anywhere; in the home, in the workplace, with friends and neighbors…even within the body of Christ. As believers, the most difficult battles we face are spiritual. The Bible teaches there is a conflict between God and Satan for the souls of men and believers are in the middle of that conflict. Looking back on history we know that as Hitler’s appetite for power and territory grew, his army began to march across Europe. In some cases, the fight could hardly be called a battle. The German army advanced, with its tanks and with technologically advanced weapons. In some of the underdeveloped nations, their armies made a futile effort to resist Hitler’s aggression, fighting back with spears and even rocks. It was no contest at all, because these nations were not equipped for the battle. The same could be said of Satan, and those whom he opposes. Many of his victims do not even know there is a war going on. They make easy prey. Christians should know that we are in the midst of a great spiritual struggle, although many seem not to believe it. And even more distressing is the fact that many who consider themselves “in the war” do not understand the nature of Satan’s schemes, of the weapons which he employs, or of the weapons which God has provided for our defense. Ephesians 6:10-20 is perhaps the clearest definition of the spiritual war which we find from the pen of the Apostle Paul. It not only assures us that there is a spiritual war, but it warns us that apart from utilizing the weapons which God has provided for us, we are hopelessly underpowered. This passage informs us as to what our divinely weapons are. Beyond this, these weapons imply the nature of the struggle which we are in. The weapons which God has provided for us are those weapons which best repel the attacks of Satan, and thus we can learn a great deal about the nature of Satan’s opposition from simply considering each of the weapons at our disposal. Early in the Book of Acts, Satan is found opposing the people and the purposes of God. In Acts chapter 5 we read of Ananias and his wife Sapphira, who had given a certain amount of money to the work of the Lord, but who had lied about the amount. When Peter rebuked Ananias for his deception, he attributed the source of the lie to Satan: “Ananias, why has Satan filled your heart to lie to the Holy Spirit, and to keep back some of the price of the land?” (Acts 5:3). 13 For such men are false apostles, deceitful workers, disguising themselves as apostles of Christ. 14 And no wonder, for even Satan disguises himself as an angel of light. 15 Therefore it is not surprising if his servants also disguise themselves as servants of righteousness; whose end shall be according to their deeds (2 Corinthians 11:13-15). In 2 Thessalonians 2:1-12 Paul speaks of a future day of evil, when “the man of lawlessness” is revealed, whose working is in accordance with the activity of Satan, and is accompanied by power, signs and false wonders (2:9). In 1 Timothy 3:6 Paul warns about laying hands too quickly on leaders, lest they become conceited and fall into the same condemnation incurred by the devil. In chapter 4, he warns of those who will fall away from the faith and pay attention to “deceitful spirits and doctrines of demons” (4:1). In chapter 5 of 1 Timothy Paul urges younger widows to get married and not to become idle gossips and busybodies. This sounds very “human,” but Paul links it to satanic activity: “Therefore, I want younger widows to get married, bear children, keep house, and give the enemy no occasion for reproach; for some have already turned aside to follow Satan” (1 Timothy 5:14-15). Imagine this. Paul refers to gossiping as turning aside to follow Satan. Now who would have ever considered gossip to be satanic? Paul does. 6 But He gives a greater grace. Therefore it says, “God is opposed to the proud, but gives grace to the humble.” 7 Submit therefore to God. Resist the devil and he will flee from you (James 4:6-7). 8 Be of sober spirit, be on the alert. Your adversary, the devil, prowls about like a roaring lion, seeking someone to devour. 9 But resist him, firm in your faith, knowing that the same experiences of suffering are being accomplished by your brethren who are in the world (1 Peter 5:8-9). In the letters to the seven churches, recorded in Revelation 2 and 3, the Lord Jesus frequently mentions Satan as the source of temptation and trials in the church (see 2:9, 13, 24; 3:9). The remainder of the Book of Revelation describes the coming final conflict with Satan, and his ultimate demise (see especially chapters 12 and 20). From these texts and many others, I believe that it is safe to say that Satan is the arch-enemy of the church. He is ever seeking to cause the saints to stumble and attempting to thwart the plans and purposes of God for His church. In the last year I have watched Satan devour those who have taken themselves out of the battle, and like David, stayed behind to satisfy their own flesh. I have seen and heard the horror stories of those who have succumbed to Satan's temptations and are now facing the devastating consequences of sin and ruin. I have seen others struggle with depression and doubt and rather than armor up and get in the battle, they shut themselves out, hiding in their own torment. In this past year alone, I have seen a couple of dear friends go so far as to end their own lives because they chose to quite the battle, believing the lie that God had forsaken them. We can exhaust ourselves in the flesh believing that we are fighting the war for God, or we can armor up, realizing that we are fighting the war with God and resting in the full assurance that the BATTLE HAS ALREADY BEEN WON! 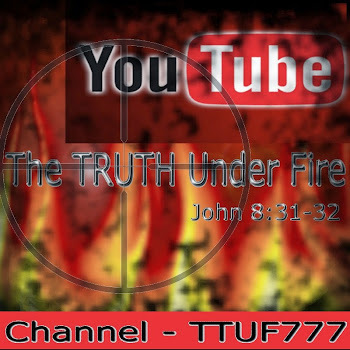 James Fire, co-laborer and writer for TTUF has written an in depth study on Spiritual Warfare in an eight part series. I would encourage you to read through this study, as well as conduct your own study on this subject. “At a time in England when loyalty to Scripture placed Christians in the center of the nation’s wars, Gurnall was more concerned with the souls of his people than the issues of conflicting political parties. Compiled from his many sermons on “the saints’ war against the devil,” his exhaustive exposition of Ephesians 6:10–20 treats the spiritual battles of believers and their God-given protection. In Conclusion: There is a war going on. It is not a war that is like the wars which are currently going on between nations today (although such wars may be a part of the bigger war). It is a spiritual war. It is a war between Satan and his fallen celestial allies and Christ and His church. It is an invisible war in that we fight against unseen forces. It is therefore a war which must be waged by faith, and not by sight. 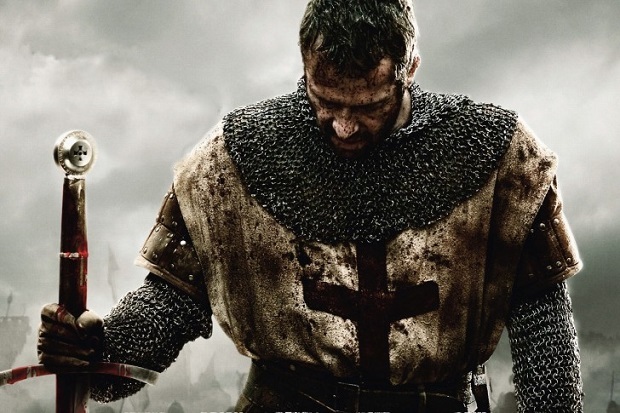 It is a war that we cannot fight in our own strength, but only in the strength which God Himself supplies. The war is not being waged to see which side will win. God has already won the war by the death of His Son on the cross of Calvary (see John 12:31; 16:11). The war is for our good, and for God’s glory. The war is a part of God’s instruction to the angelic hosts (see Ephesians 3:8-11). The war is a part of God’s eternal plan and purpose for his creation. The great question is not, “Who will win?,” but “Who will stand?” The question is not whether God is on our side as much as whether or not we are on His side. Be of good cheer you say? Yes! I’ll repeat it again, Jesus has overcome the world! We can breath a sigh of relief! What greater hope can a believer possess than knowing that our Savior has overcome this world? Because He overcame, we too can overcome for He will equip us with His strength that we are able to stand strong in the day of Battle. Now it's time to put on our armor. What is it? 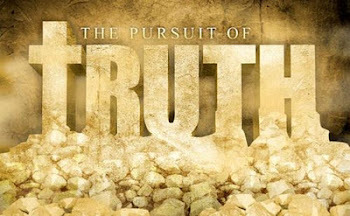 “Having girded your loins with truth” (vs. 14) ‘Sanctify them in the truth; Thy word is truth.’” ~ John 17:17. Wrap yourself in the truth of God’s word. Buckle on that belt! 2 Corinthians 5:21 (KJV). Choose to walk with Him, denying yourself and crucifying your flesh! “Having shod your feet with the preparation of the gospel of peace” (vs. 15) What is the gospel of peace….it’s the good news that Jesus has come to save us from our sins…we are to be sharing this good news with others! “The sword of the Spirit, which is the word of God” (vs. 17) Are you reading the word of God? Are you studying it? Do you know it? Are you using the sword of the Spirit correctly and wisely? And last but certainly not least, we have a direct line to the King Himself….we can come boldly before His throne of grace to find HELP in our time of need! It is vital to keep the line of communication open not only to receive instruction, but it is vital that we obey His command. For He is leading this battle, and we are soldiers in His army. “With all prayer and petition pray at all times in the Spirit” (vs. 18) The bible explains that the armour is not a material possession, but a spiritual one. In fact, Romans 13: 12-14 tells us that the armor is the Lord Jesus Christ, so Put on Jesus! Now it's high time to wake out of sleep....go get your armor on...and stand in the day of battle!